Due to the heavily regulated nature of many of our customers’ industries, it is critical that we supply only the materials that we specify. With this in mind we test all incoming stainless steel using our own portable X-Ray testing machine. 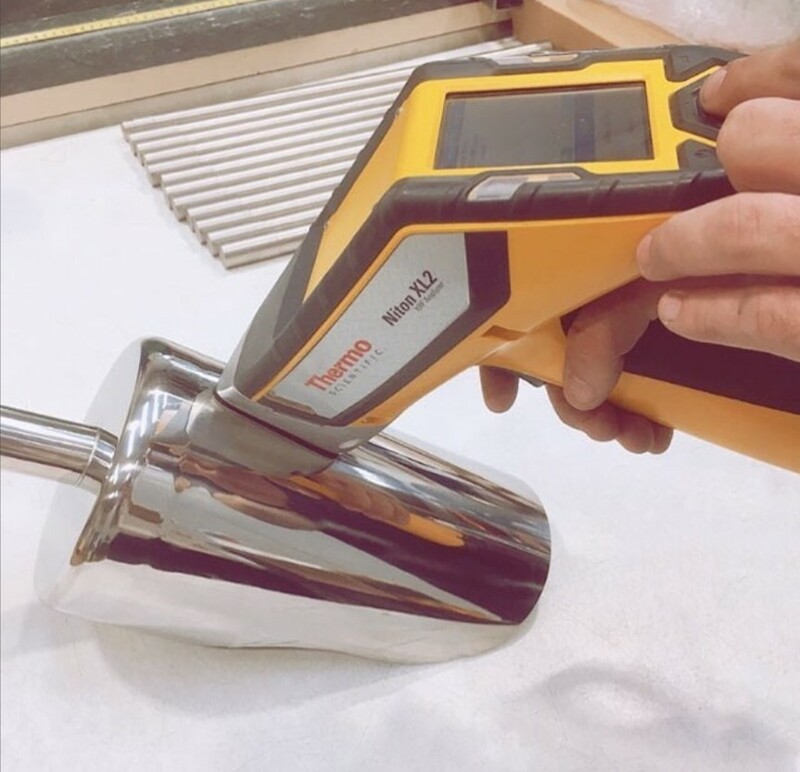 Using this specialist piece of equipment we offer a cost effective materials testing service, backed up by comprehensive certification where required. We can either visit your site or you can send material/product samples to us if you prefer. This service gives you the peace of mind that you are getting what you are paying for, undertaking due diligence, and ultimately maintaining your quality control. Please contact us using the ‘find out more’ form on this page. Some of our most popular products have come about by reacting to problems presented to us by our customers. Do you have the next big idea?